One of the world's most renowned conductors makes his highly anticipated return home for a major musical performance at Birmingham's Symphony Hall on Tuesday September 8. 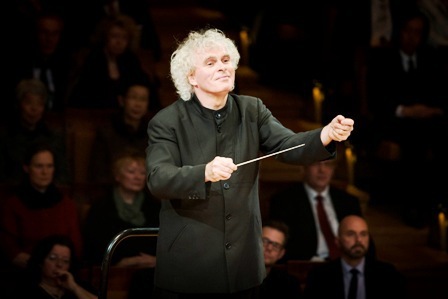 Launching the 25th anniversary of the Birmingham International Concert Season at Symphony Hall, Sir Simon Rattle will lead The Vienna Philharmonic in a celebration of the city's musical heritage - Elgar's The Dream of Gerontius, the Birmingham composer's self-proclaimed best work, setting the words of the city's most famous clergyman, Cardinal JH Newman. The work was commissioned and first performed at the 1900 Birmingham Triennial Festival in the iconic Town Hall, the world's oldest purpose built concert venue, which continues to host several hundred live performance events each year. For September 8th's performance, Sir Simon will be joined by his wife and distinguished soloist, Magdalena Kožená, renowned British tenor, Toby Spence and baritone, Roderick Williams. Together with the national BBC Proms Youth Choir, the performance will be in advance of the Proms performance at the Royal Albert Hall, on Friday September 11. 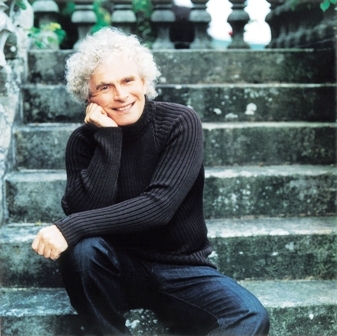 Sir Simon Rattle became Principal Conductor and Artistic Adviser of the City of Birmingham Symphony Orchestra in 1980, stepping up to Music Director from September 1990 until August 1998. He quickly cemented his reputation as one of the leading figures in British music. This influence was a key factor in the City's decision to build a state of the art concert venue, Symphony Hall, that boasts the best acoustics in Europe, if not the world. Andrew Jowett, Director of Town Hall/ Symphony Hall, says: "For the people of Birmingham, Sir Simon's name sits alongside those of Elgar, Holst, Howells and Vaughan Williams who once called this area their home. ''What better way to launch the 25th Anniversary Season at Symphony Hall than with this combination: an all-Birmingham work performed by one of the world's most renowned conductors, who helped create the hall in which he will perform. The work has been performed many times in Birmingham since its first performance, but this will be a great occasion to treasure." Ed Smith, former CEO of the City of Birmingham Symphony Orchestra, adds: ''Sir Simon¹s determination to commit himself to the CBSO over such a long period and develop the orchestra into the internationally recognised symbol of Birmingham¹s status as a major city was a key factor in the decision to build Symphony Hall in the late 1980s. ''The very first notes of a private rehearsal of Mahler Symphony No 9 in January 1991 confirmed to us all that we had something very special for performers and audiences - and the following 24 years have confirmed that! It continues to be a shining example of what a great auditorium can bring to a community.Birmingham¹s cultural life would be unthinkable without it!"